Episode 511 - Our Sunday News! Hey, folks! Pull up a bar stool at the Main Street Pub and join John and Doug as they discuss all of the latest news from around Walt Disney World! The new Disney+ streaming service is in the news. Are the guys thrilled to hear about its impending arrival? Plus, Disney Christmas party dates have been released. Will we be entertained by a "Very Merry" rant? Grab a delicious beverage, fans. Then sit back, relax, and enjoy another fireworks-filled episode of the WDW Main Street Podcast! Episode 510 - Our Sunday News! Howdy, all! John and Doug would like to welcome you into the Main Street Pub to join them for this week's Walt Disney World news show! The guys cover the dates for both this year's Food & Wine festival (yahoo!) ... as well as the Christmas holiday season at Epcot. They discuss all of that plus so much more, so order yourself a cold, refreshing beverage ... then sit back, relax, and enjoy another fantastic episode! Episode 509 - A Trip Report! Pull up your stools at the pub with Evan and Doug as they discuss Evan's most recent trip to Walt Disney World. It was his son's first-ever visit! Did his family enjoy Toy Story Land? What were their favorite (and least favorite) meals? 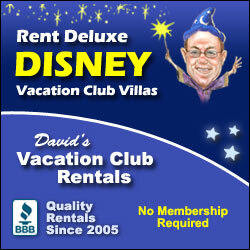 Did they have a good experience renting DVC accommodations from our good friends at David's Vacation Club Rentals? 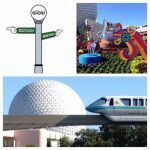 Find out all about it, folks, when you grab yourself a cold one, sit back, relax, and enjoy this jam-packed episode of the WDW Main Street Podcast! Episode 508 - Our Sunday News! Step into the Pub, folks! Pull up a seat at the bar next to John and Doug and join in as they cover all of the latest news from around Walt Disney World! Will the guys like all of the new rules that Disney has put into place? They'd also like to wish our dear friend Judith a very Happy Birthday! Grab yourself a cold one, friends! Will this week's episode be another rant-filled extravaganza? Let's see! Sit back, relax, and enjoy the show! Episode 507 - Our Weekly News! Howdy, folks! Step right in, and pull up a barstool with John and Doug! The Main Street Pub is open for business, and they are ready to discuss all of the latest news from around Walt Disney World! Does John go off on mobile ordering ...again? Is Doug as upbeat and ever? Are they happy to hear that there will be even more Early Morning Magic dates coming to the Magic Kingdom? Order yourself a cold beverage, friends, sit back, relax, and enjoy another action-packed episode of the Internet's only "tell it like it is" Disney podcast! Episode 506 - Our Sunday News! Hey, folks! Step into the Pub! Grab a seat and buckle up. This one's gonna be a bumpy ride! Why, you ask? Well, this week, John and Doug will cover the news from around Walt Disney World, but they also "celebrate" one fantastic announcement - Disney will, once again, be raising ticket prices ... for you! Wait for it --- $150.00 a day during the Christmas holiday season! We appreciate it, Disney. Thank you! NOT! Grab yourself a cold one, fans. You're going to need it. Then, sit back, try to relax, and enjoy this rant-filled episode! Episode 505 - Our Sunday News! Hey, fans! Step into the Pub and pull up a barstool! Join John and Doug for your weekly tour through all of Walt Disney World's latest news! Disney sets the Grand Opening date for Galaxy's Edge! How excited are you to step into the world of Star Wars? How thrilled are John and Doug? The guys also talk about a couple of new food options in Epcot. They are looking forward to trying all of them ... and so much more! Mosey up to the bar, order a beverage, and chill out with the "pub dwellers", folks. This is another jam-packed show! Episode 504 - Our Sunday News! Pull up your stools with John and Doug as they cover all of the latest news from around Walt Disney World! This week, John covers Food & Wine over at Sea World. Does he think it is as good as Epcot's festival? How big of a rant does (the usually calm?) Doug share with regard to the possibility of Disney charging for Fast Passes when Galaxy's Edge opens? Grab yourself a cold one, folks. Sit back, relax, and enjoy another action-packed episode! Episode 503 - Our Sunday News! Pull up your stools at the Main Street Pub and join John and Doug as they discuss all of the latest news from around Walt Disney World! John had a special Cast Member event at the Magic Kingdom. Is it one that we would've all loved to do? Also, how excited are the guys about the changes coming to Epcot? Grab yourself a cold one, folks. Sit back, relax, and enjoy another exciting and jam-packed show! Episode 502 – Our Sunday News … Plus, FULL “Food” & Garden Outdoor Kitchen Menus! Hello, folks! Welcome to The Pub! Take a seat and join Doug and Bob as they cover all of this week’s WDW news. Which one of them will melt down over Bob Iger’s bonus? Is Bob really going to give the Minnie Van a try? Finally, they cover all of Flower & Garden’s Outdoor Kitchen menus. What cuisine grabs their eyes? Catch it all on this exciting – jumbo length – episode!